AET (ABET) – Adult Education and Training – focuses on workplace oriented education. Employees develop literacy and numeracy skills appropriate to their work. Triple E Training delivers state of the art AET ABET instruction to businesses throughout South Africa using a comprehensive curriculum. We dedicate our best efforts to educating, enriching, and empowering disadvantaged South Africans so that they may advance in the workplace and society. Courses are conducted at our client’s facilities or at sites convenient to workers. Triple E Training has developed instructional units and assessments that guarantee instruction which is satisfactory to the company’s and worker’s needs. Appraisal of the learner’s proficiency assures that they can apply their literacy and numeracy skills in ‘real world’ situations. 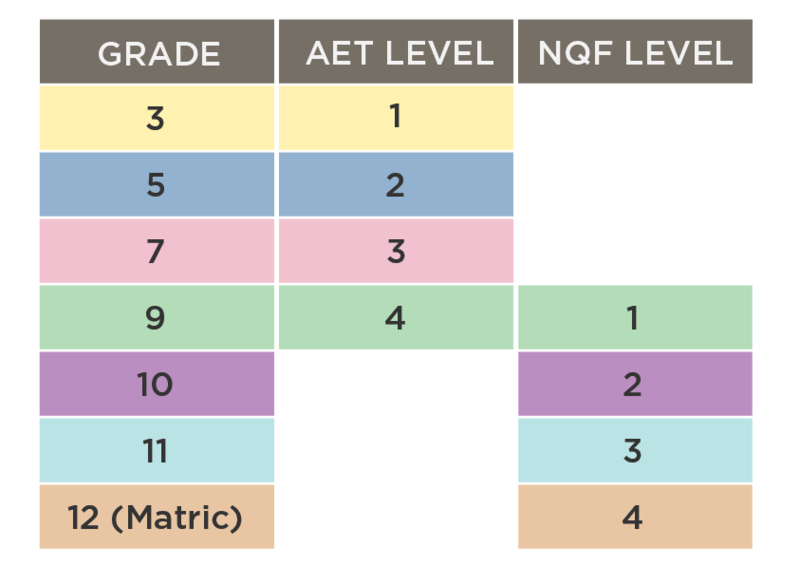 The four levels of AET training are equivalent to Grades R to 9; Grade 9 is equivalent to NQF 1. Adult Education and Training is the general conceptual foundation towards lifelong learning and development, comprising of knowledge, skills and attitudes. It is flexible, developmental and targeted at the specific needs of particular audiences. Upon completion, the training provides access to a nationally recognised Statement of Results, and will give your employees access to further qualifications and training. AET ABET has grown in popularity over the last few years based on the fact that it assists companies with their B-BBEE scorecards. Triple E Training is accredited to change lives through AET ABET and learnerships in various sectors, including mining, manufacturing and agriculture.